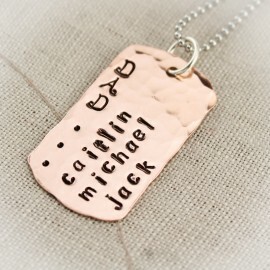 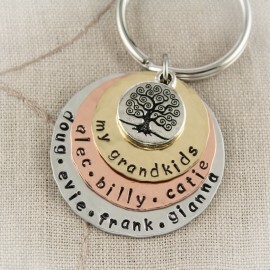 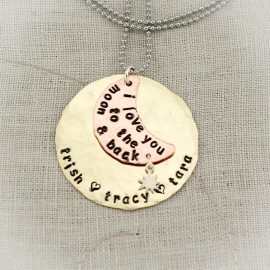 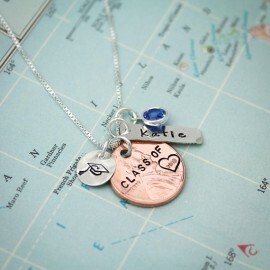 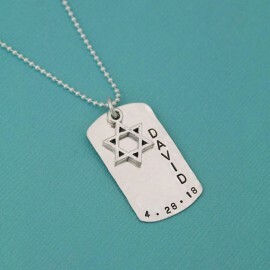 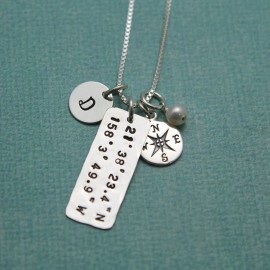 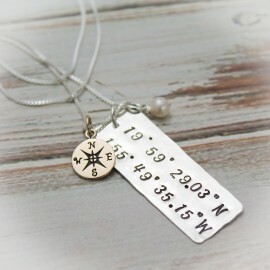 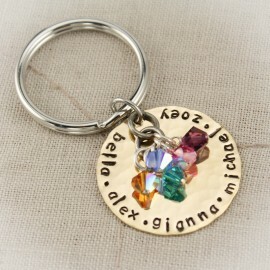 Create a family keepsake. 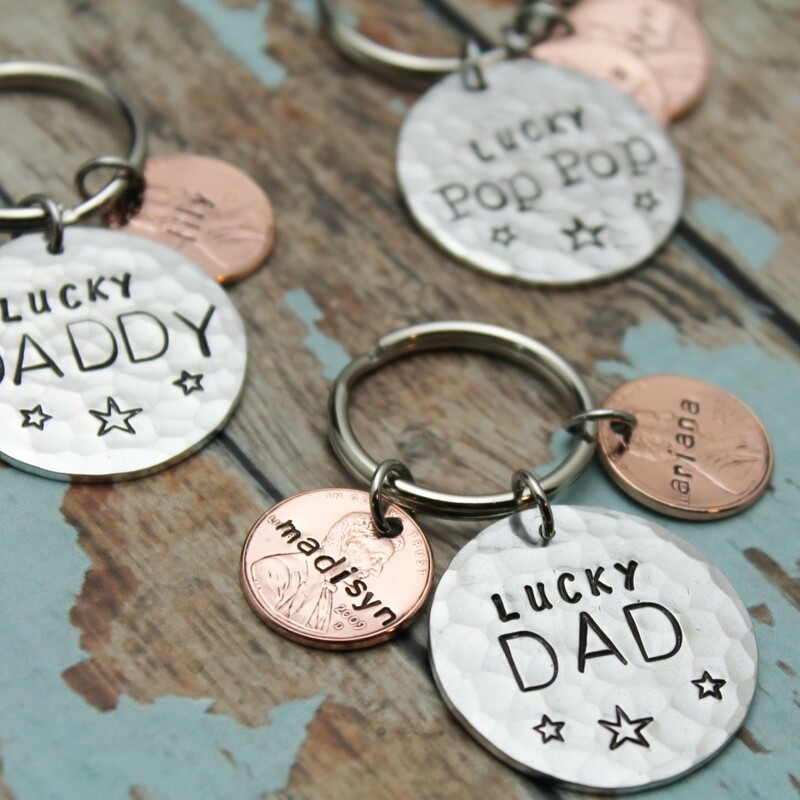 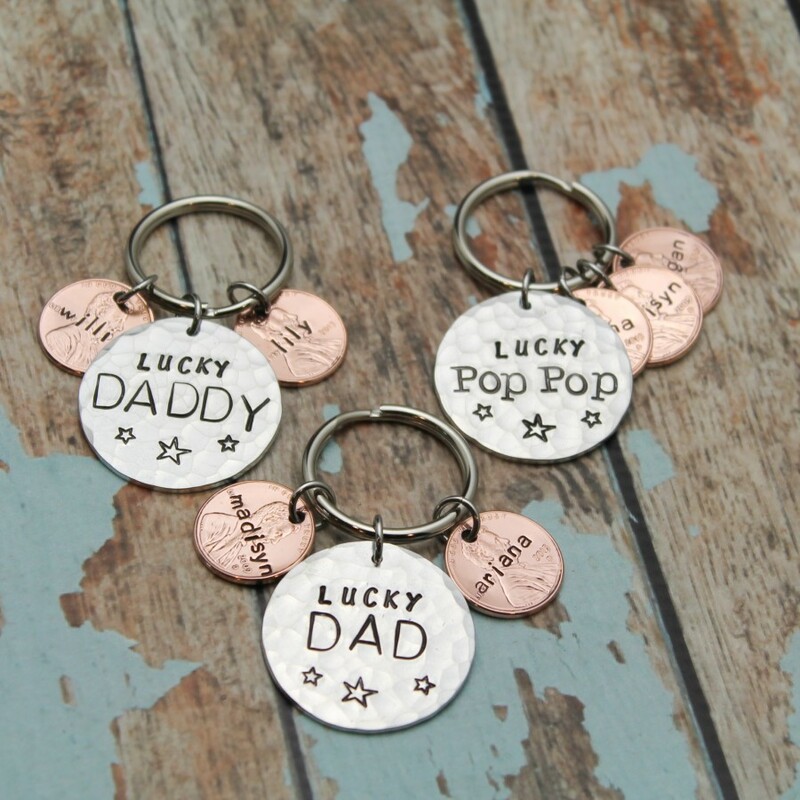 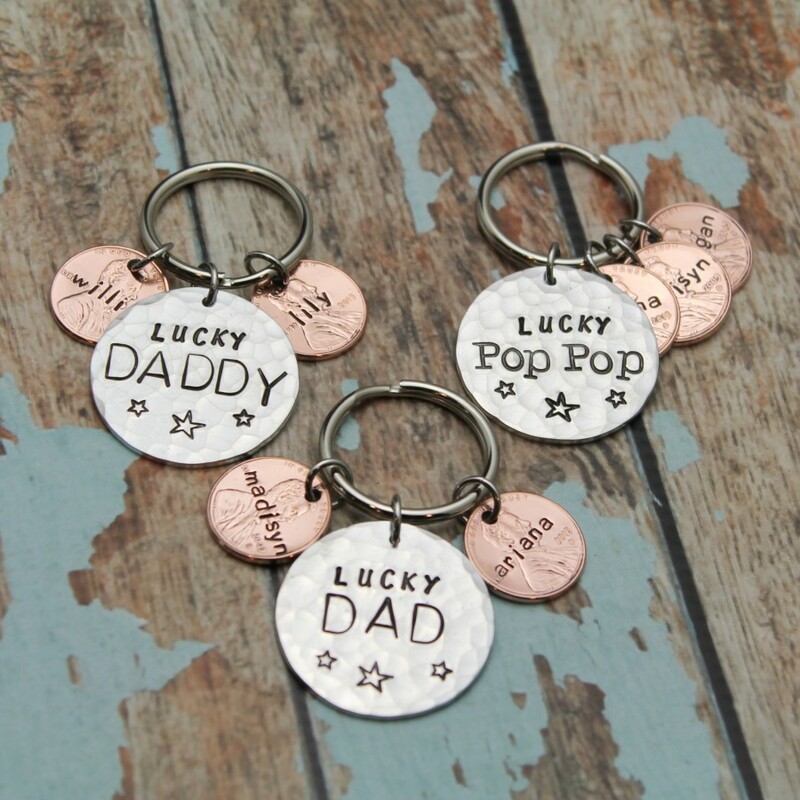 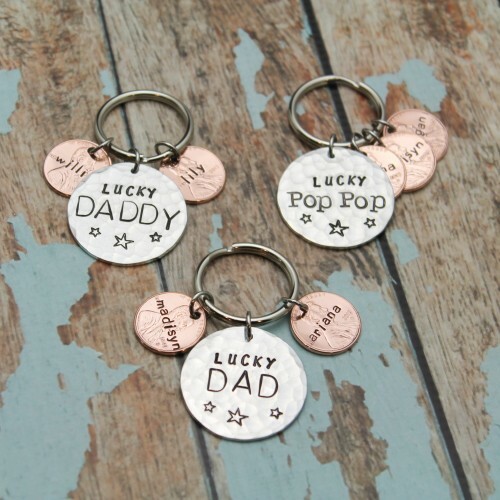 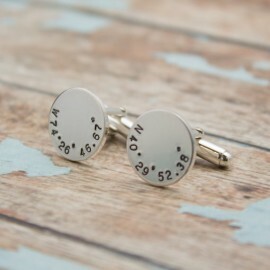 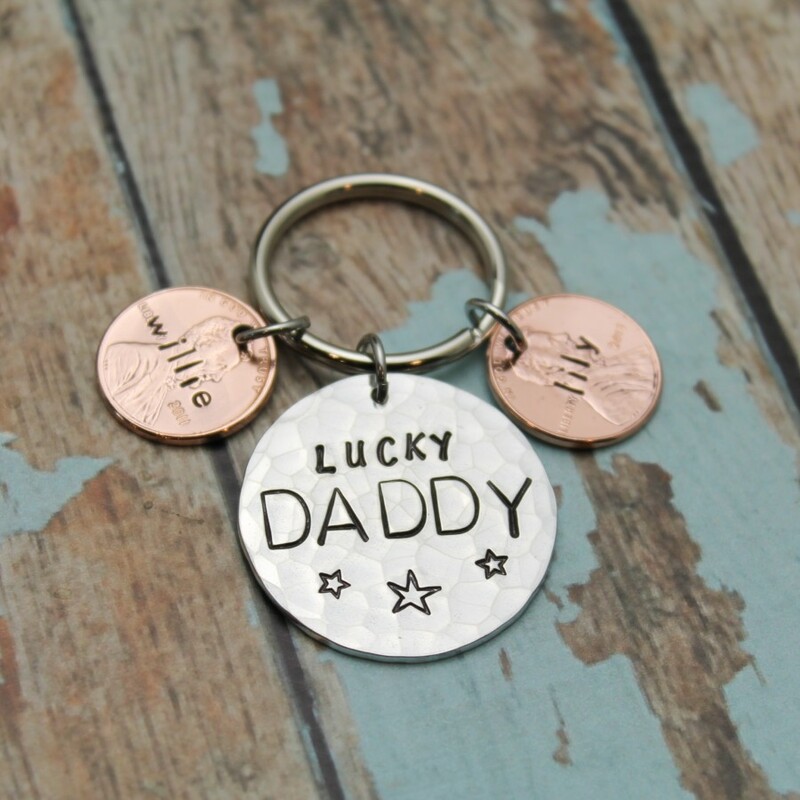 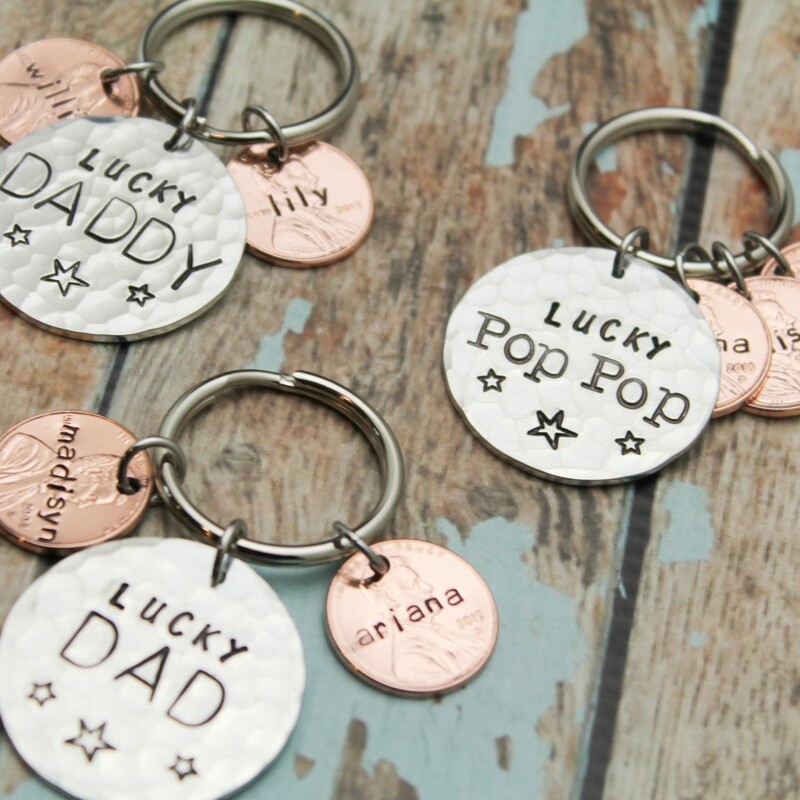 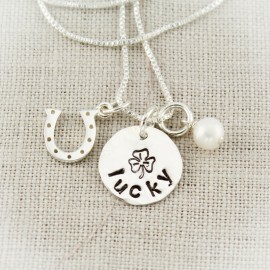 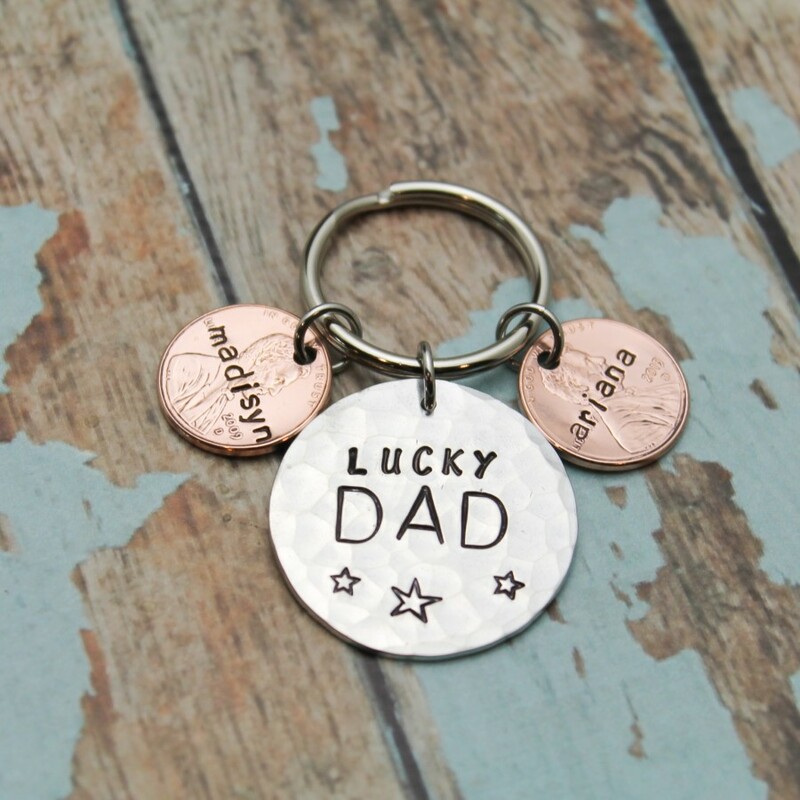 This is a perfect gift for the lucky Dad or Grandpa in your life. 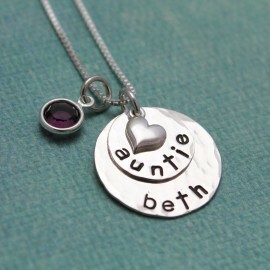 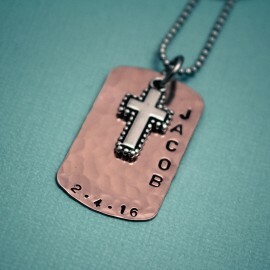 The aluminum disc is hammered and hand stamped with the special name. 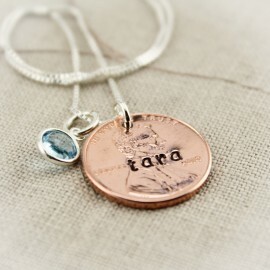 Then each penny is representing with the birth year of every child and stamped with their name. 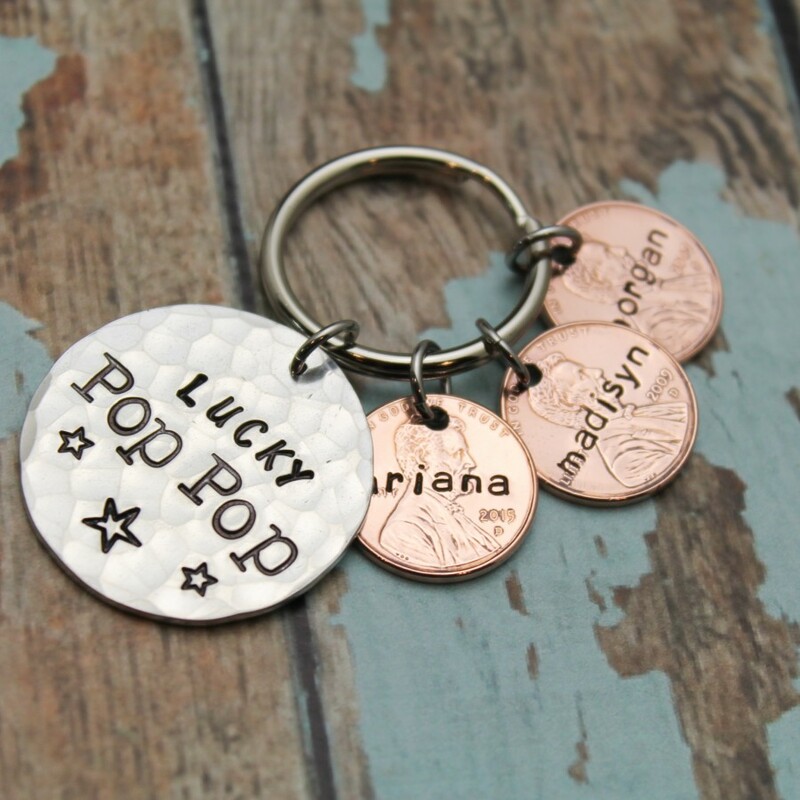 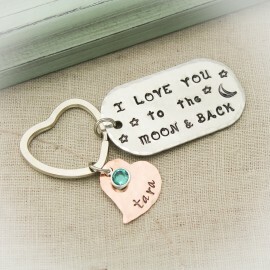 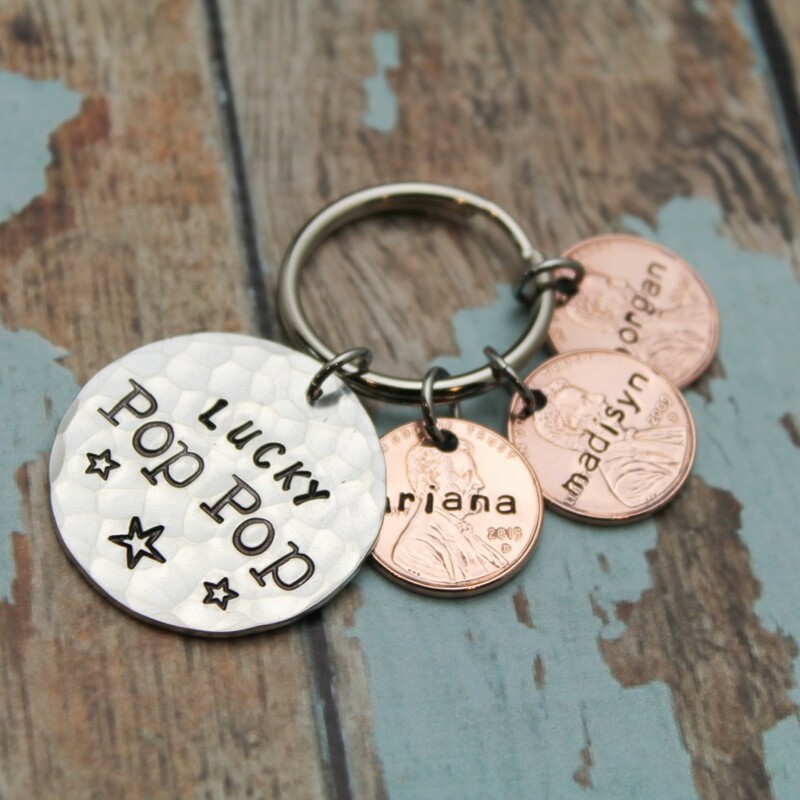 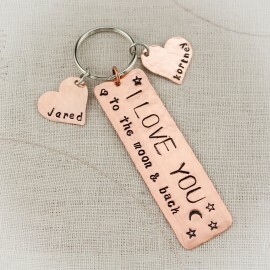 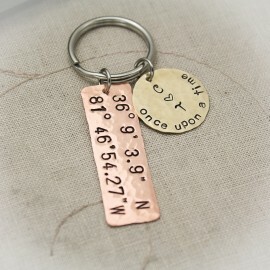 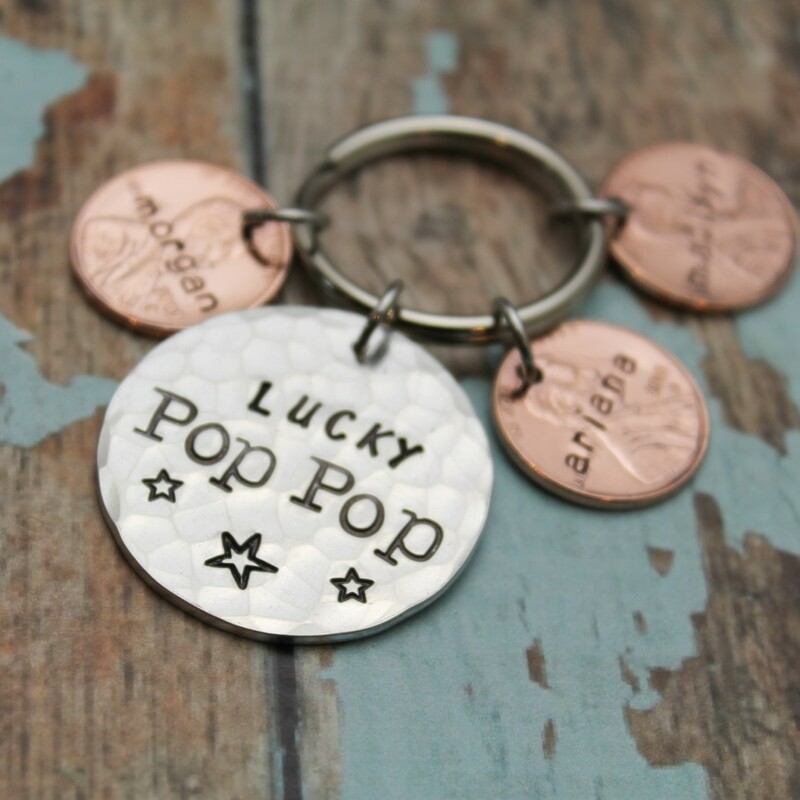 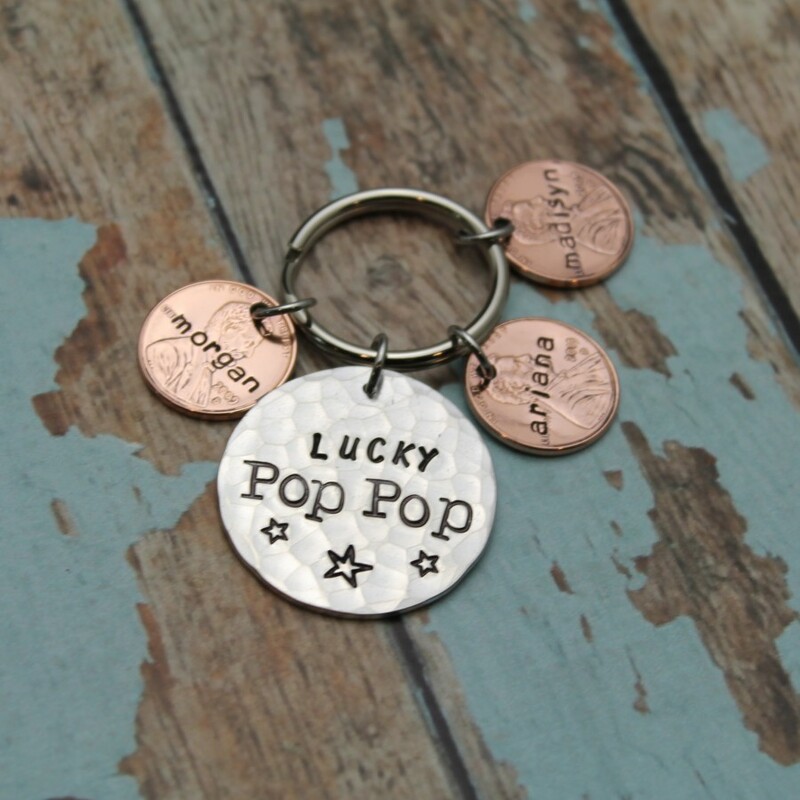 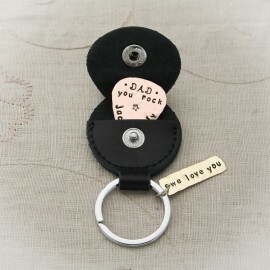 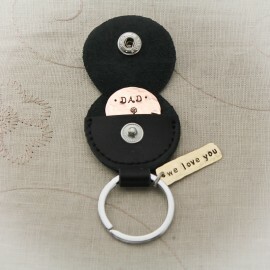 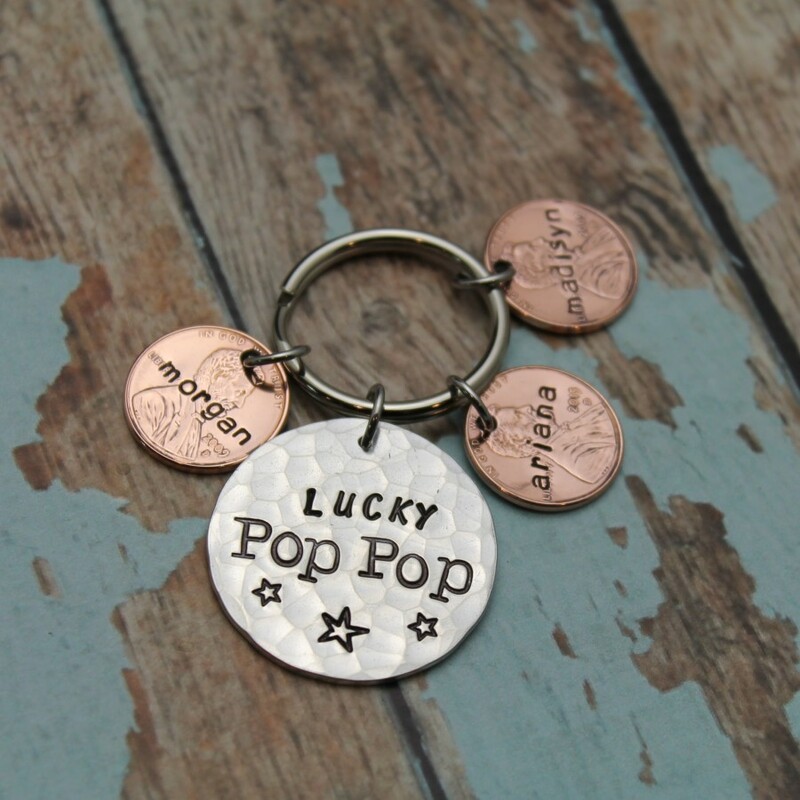 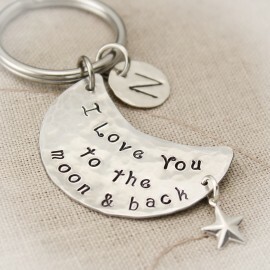 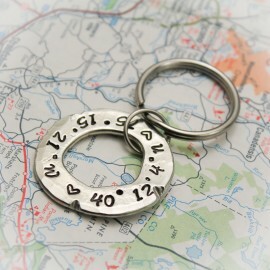 Key ring is stainless steel and disc and pennies are attached with heavy duty stainless steel jump rings.